Installing the popularity-contest package enables participation in an automated survey that informs the Debian project about the most popular packages. A script is run weekly by cron which sends (by HTTP or email) an anonymized list of the installed packages and the latest access date for the files they contain. This allows differentiating, among the installed packages, those that are actually used. This information is a great help to the Debian project. It is used to determine which packages should go on the first installation disks. The installation data is also an important factor used to decide whether to remove a package with very few users from the distribution. We heartily recommend installing the popularity-contest package, and participating in the survey. The collected data are made public every day. These statistics can also help choose between two packages that would seem otherwise equivalent. Choosing the more popular package increases the probability of making a good choice. Evolution is the GNOME email client and can be installed with apt-get install evolution. Evolution goes beyond a simple email client, and also provides a calendar, an address book, a task list, and a memo (free-form note) application. Its email component includes a powerful message indexing system, and allows for the creation of virtual folders based on search queries on all archived messages. In other words, all messages are stored the same way but displayed in a folder-based organization, each folder containing messages that match a set of filtering criteria. An extension to Evolution allows integration to a Microsoft Exchange email system; the required package is evolution-ews. 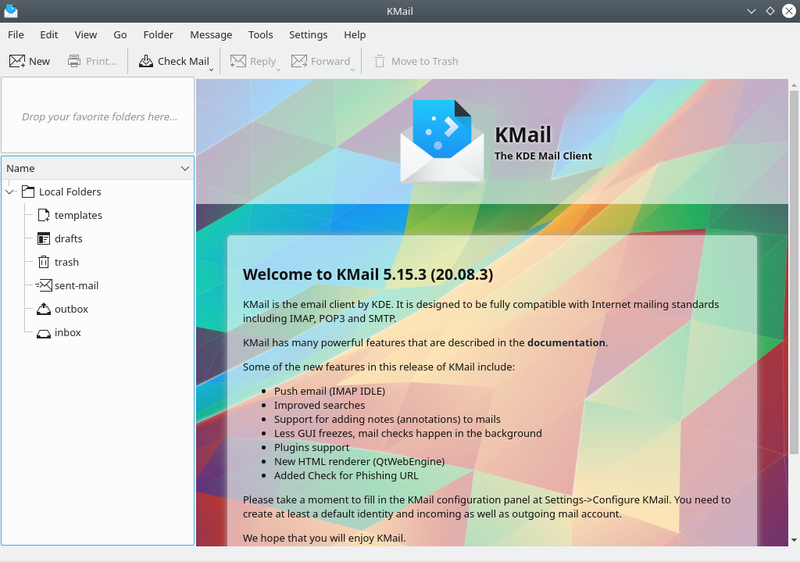 The KDE email software can be installed with apt-get install kmail. 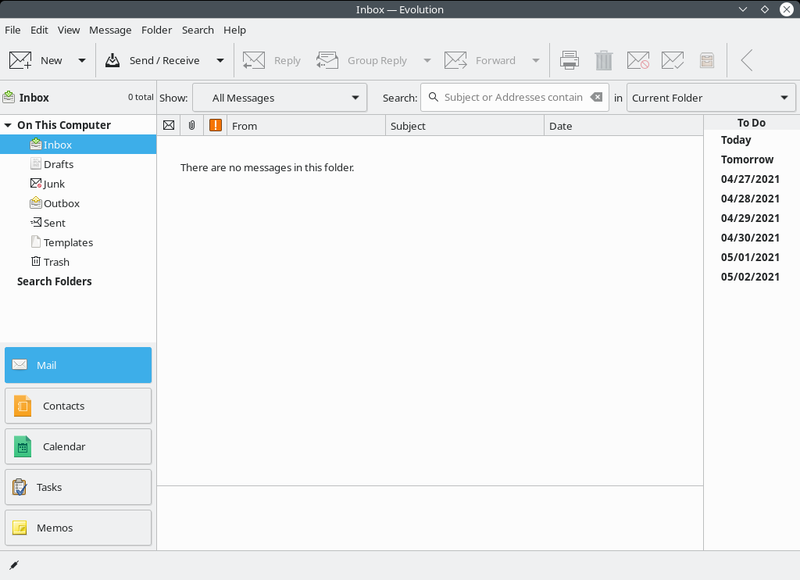 KMail only handles email, but it belongs to a software suite called KDE-PIM (for Personal Information Manager) that includes features such as address books, a calendar component, and so on. KMail has all the features one would expect from an excellent email client. This email software, included in the icedove package, is part of the Mozilla software suite. Various localization sets are available in icedove-l10n-* packages; the enigmail extension handles message encrypting and signing (alas, it is not available in all languages). Thunderbird is one of the best email clients, and it seems to be a great success, just like Mozilla Firefox. Strictly speaking, Debian Jessie contains Icedove, and not Thunderbird, for legal reasons we will detail in the sidebar CULTURE Iceweasel, Firefox and others; but apart from their names (and icons), there are no real differences between them.